The one thing I hate about travelling? Leaving my four legged companions behind. While The Cat, Fitzroy, literally throws a hissy-fit when we try to coax her from the house, it’s a different story with Missy the Chihuahua: her look of pained betrayal makes me never want to leave the house without her. Missy clipped into her backseat doggy seatbelt, ensuring we don't forget to pack her and contemplating the state of the world over a pinto of Murphys. 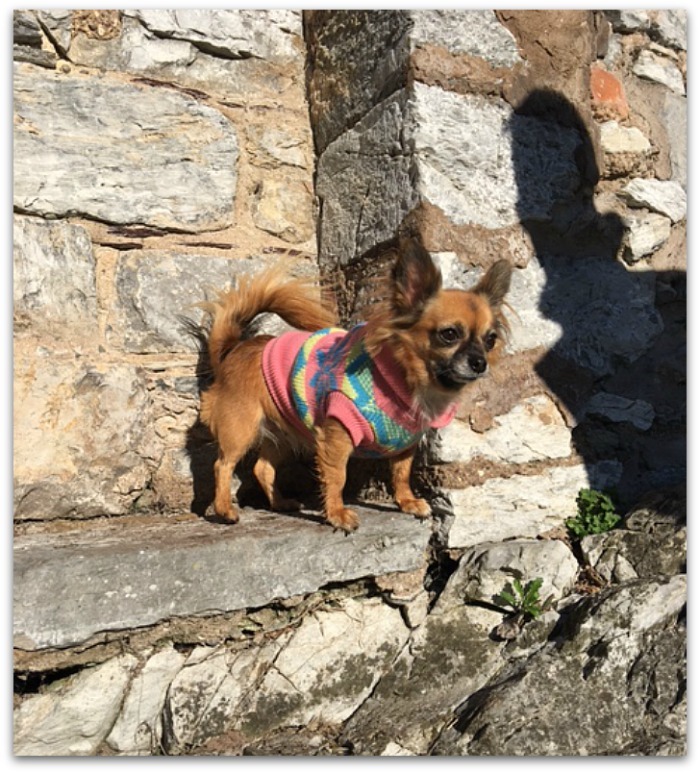 Jumper from Urbanpup.ie if you're wondering! 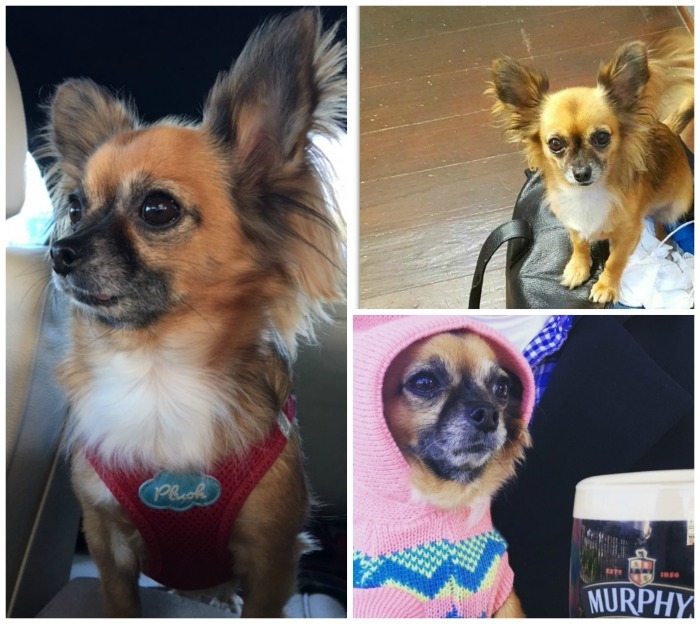 Thankfully, for both my sanity and my social life, Irish society is becoming more dog friendly, and our last weekend away was all the more enjoyable because Missy was welcome, too. 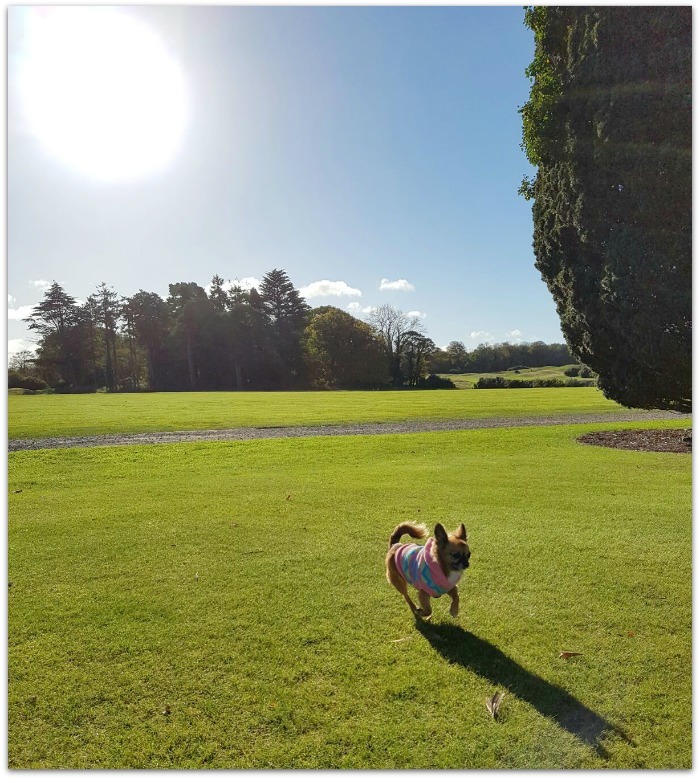 We headed off to Castlemartyr Hotel in Cork, one of a growing number of Irish hotels to welcome dogs of all sizes. 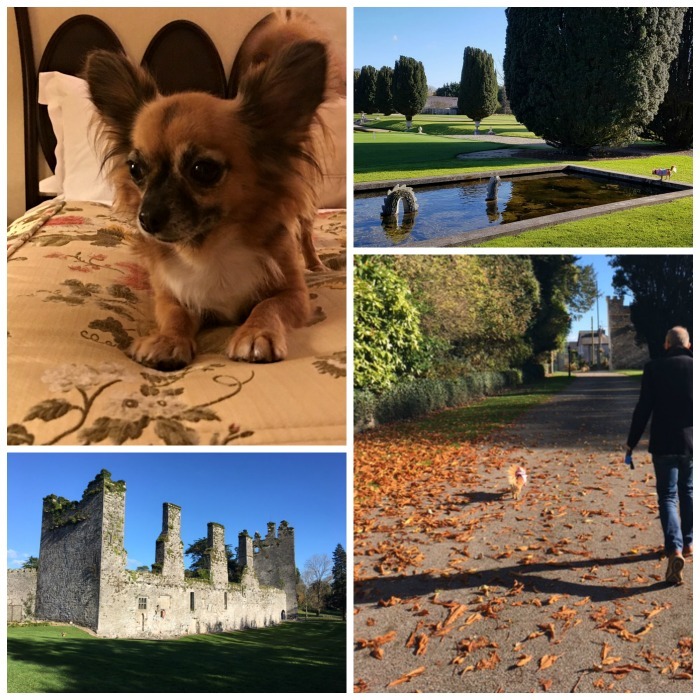 While Castlemartyr is luxurious, it’s definitely not snooty: we received a very warm welcome, and Missy was made a great fuss of by staff and fellow guests alike (some of whom were also of the four-legged variety). There’s great walking and exploring to be done on the estate, with plenty of exciting smells and the odd sculpture to be barked at, and the designated dog-friendly rooms are every bit as luxurious as you’d expect from this 5-star retreat. Our room was equipped with wipe-clean wooden floors instead of deep pile carpets, along with a private garden for Missy to hang out in, with direct access to the hotel grounds - so when we went walkies, you didn’t need to traipse through the hotel. It was so spacious we didn’t mind leaving her to explore*, while we enjoyed an excellent meal in the beautiful Bell Tower restaurant – but she did come along to the local pub, the Hunted Hog, where we hung out in the heated outdoors area over a pint or two of Murphys (for us) and a bowl of water (for her). We were invited down to stay, but the hotel generally operates a one night charge of €50 per room; check out their (straightforward) pet policy here, and make sure you notify staff when booking, so they can reserve you a dog-friendly suite.